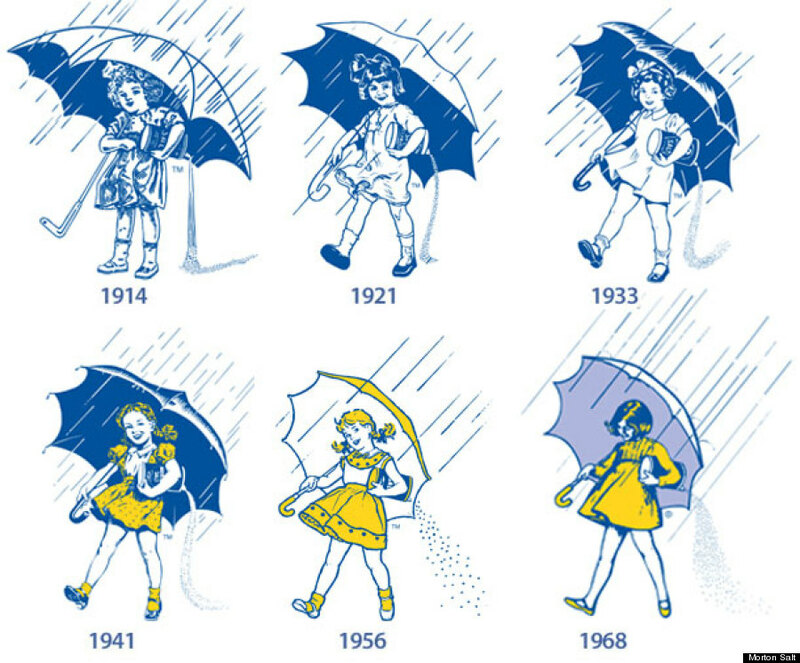 Morton Salt's iconic "Umbrella Girl" got a few minor tune-ups for her 100th birthday this week. "The new Umbrella Girl has been updated for the better, removing some of the extraneous line work that muddied up the illustration when rendered small. Compared to the 1933 – 1941 and 1956 – 1968 updates, where new dresses and hairstyles were introduced, this is a very conservative update." According to the company's archives, Sterling Morton, the son of founder Joy Morton, championed the umbrella girl design over other designs under consideration because it represented "the whole story in a picture – the message that the salt would run in damp weather was made beautifully evident." The company is celebrating the Umbrella Girl's 100-year anniversary with events throughout the year, including 100 parties in 100 cities, Morton Salt Girl day at Wrigley Field and with Facebook and Instagram lookalike contests, the Tribune reports. The Oldest Company Logos In America: 24/7 Wall St.